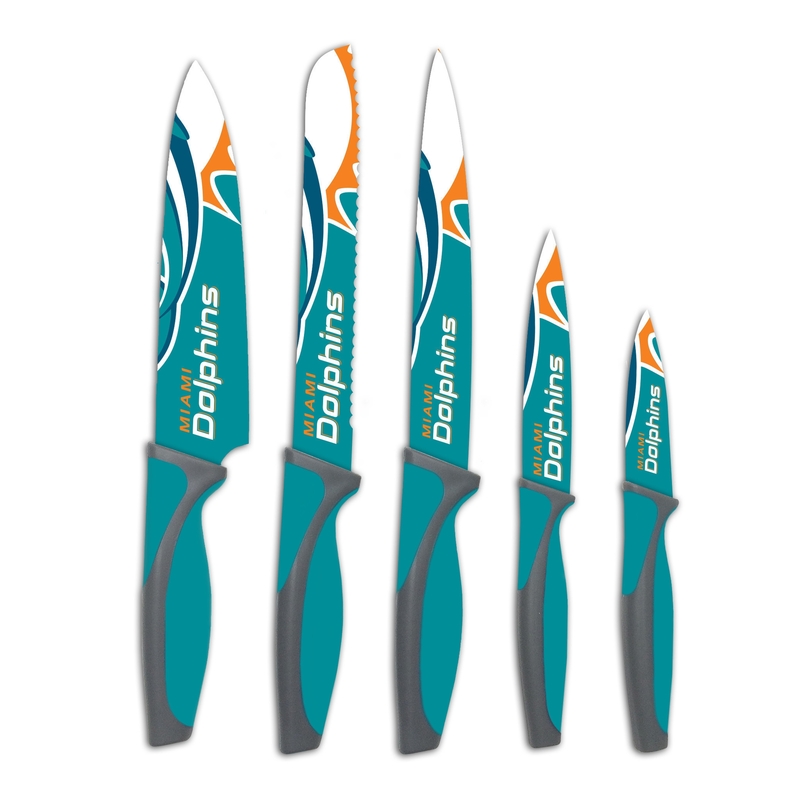 Show your support for South Florida's own Dolphins with the Miami Dolphins Kitchen Knives Set of 5. This dinnerware is perfect for barbecues, game day cookouts, tailgates, and virtually every occasion. 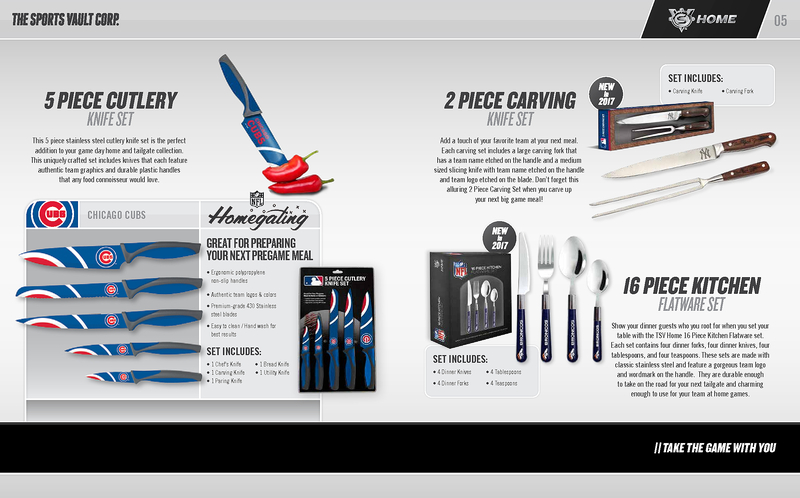 As Nfl officially-licensed items, each knife is designed with the iconic artwork and color scheme of the Miami Dolphins. 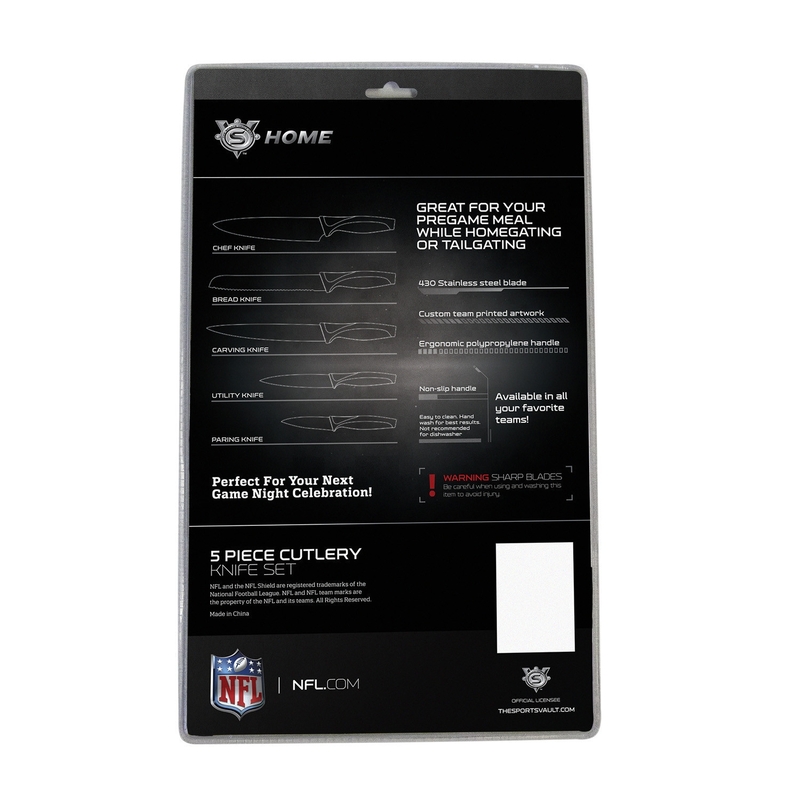 The Miami Dolphins Kitchen Knives Set of 5 includes a bread knife, carving knife, paring knife, chef's knife, and a utility knife. The blades are forged from durable stainless steel, while the handles are crafted from non-slip and ergonomic polypropylene. Be the envy of your friends or gift this set five to another Dolphins fanatic for the big score. 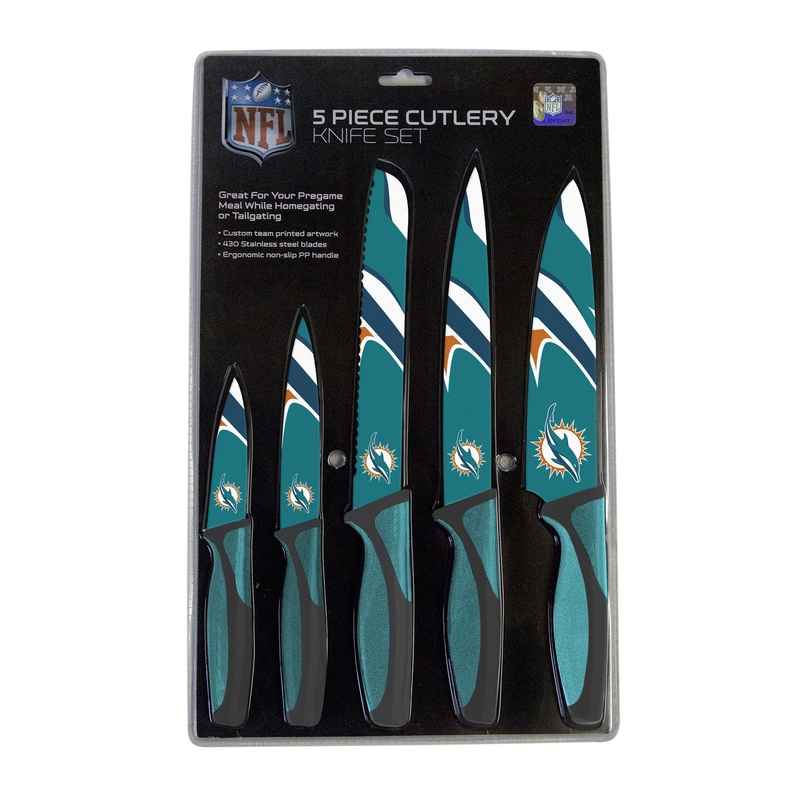 Order your Miami Dolphins Kitchen Knives Set of 5 today.